The Suzuki Swift is a surprisingly roomier than rivals such as the Skoda Fabia, Ford Fiesta and the Hyundai i20. It is also fun and great to drive. Compared to the old model, this one looks far more modern but also it comes with a larger boot than the old; with a new capacity of 265-litres. The car inside is far more spacious overall also. 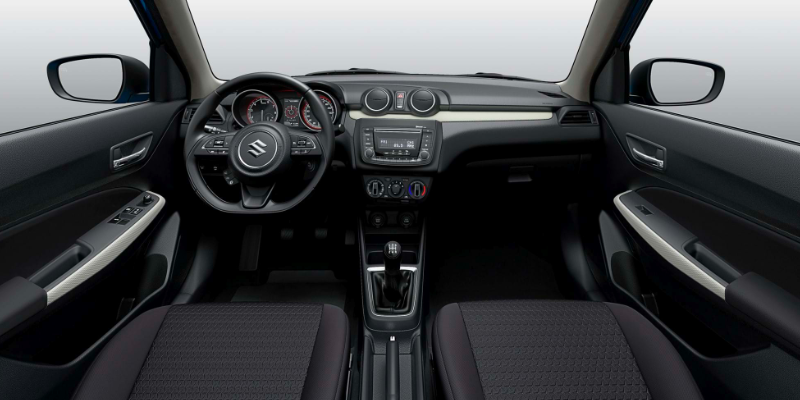 Inside, the new Swift has a more eye-pleasing interior and simple layout compared to the old cars interior. It also gets a 7-inch touchscreen infotainment system as standard. It is rather easy to use and shows clear, colourful graphics on the screen on its high contrast black background. Passenger space has also been improved from the old model due to its new lengthened wheelbase. This has resulted in legroom being more generous. The rear seats have enough room for three kids or two tall adults to sit comfortably on journeys. Also, the doors open nice and wide making it easy for you to jump in or fix a child seat. This model is the ‘Attitude’, it has a 1.2 Dualjet petrol manual engine. It has 9o brake horsepower (BHP). 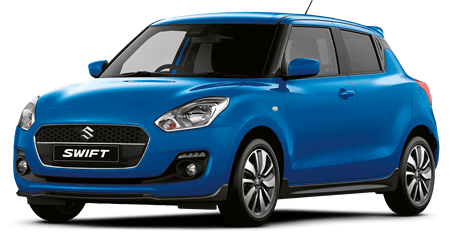 From a standstill, the Suzuki Swift can go 0-60mph in 11.9secs. On an economical side of the things, the Swift to said to be able to return 55.4mpg.